Thailand may remain tropical, but at least for a few hours in late September, the cool touch of winter arrived. 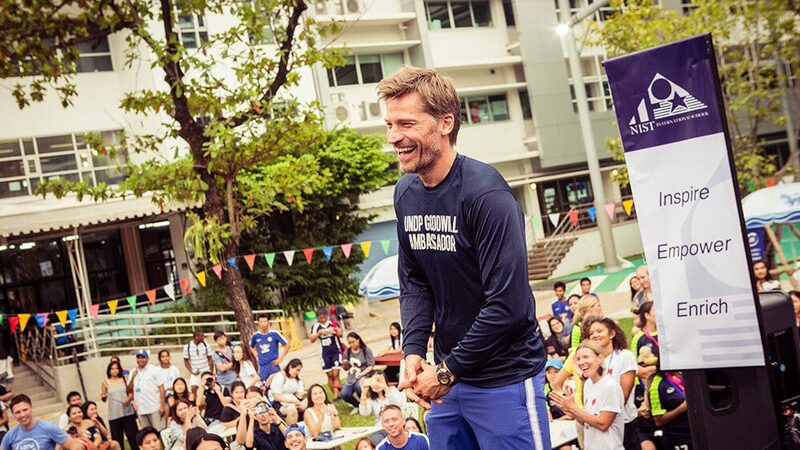 Nikolaj Coster-Waldau, widely recognized as Jamie Lannister on the hit HBO series Game of Thrones, served as a referee for the Global Goals World Cup (GGWCup) here at NIST, home to Chelsea FC International Development Centre Bangkok. A collaboration between Eir Soccer and the UN Development Program (UNDP), the GGWCup aims to create a new kind of sport tournament for women, using the UN Sustainable Development Goals (SDGs) as a catalyst to merge football, advocacy and culture. By choosing and championing one of the goals, each team of women helps build awareness and contribute toward the achievement of the goals. 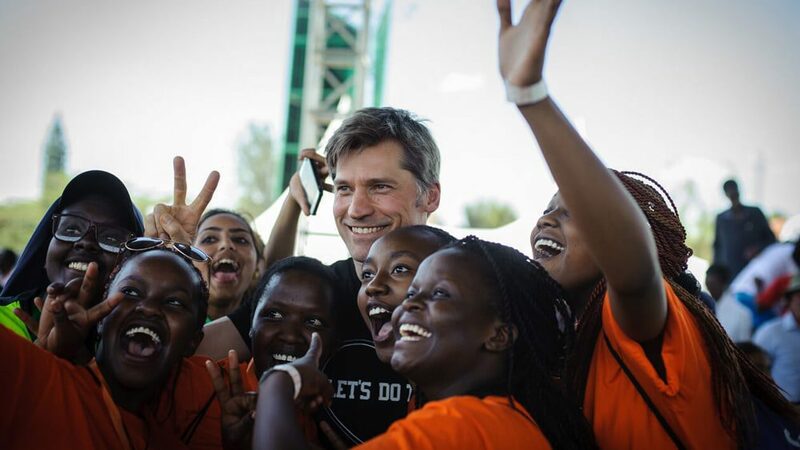 As a UNDP Goodwill Ambassador and avid football enthusiast, Coster-Waldau has supported the GGWCup from the beginning, first in New York and Nairobi, and now in Bangkok, where the tournament was sponsored by PANDORA. While his efforts as an official ambassador focus on gender equality and climate change, he sees his role as shining a light on the work that others do to work toward all of the goals. This aligns to the philosophy of the GGWCup. Co-founder Majken Gilmartin believes that “sport has a unique power to unite all kinds of people around the common goal of making the world better. This work with Chelsea, NIST and UNDP is a perfect example of the kinds of innovative alliances that are needed in order to accelerate progress towards sustainable development”. In a world that increasingly sees nations and communities becoming more diverse, defined more often by their many differences than their commonalities, it’s rare to find a shared vision and values that tie people together. The prevalence of this diversity makes the SDGs all the more remarkable. Building on basic aims such as the eradication of poverty, reduction of inequality and creation of clean energy, the goals provide a framework for the future that nearly all can agree upon and work toward. This is particularly important in Thailand, where the UNDP’s work faces numerous challenges common across Asia, including a rapidly growing population, high consumption of resources and high levels of inequality. Bridging diverse communities to build shared support for the SDGs is crucial to their success. At NIST we welcome families who represent nearly 60 nationalities and come from a wide range of backgrounds, languages and cultures. Bridging this rich diversity are our community’s core values, closely linked to those of the UN, and a shared commitment to the SDGs. The strong commitment to achieving the goals is firmly entrenched our mission and programmes. By fusing education, community engagement and service, NIST has created a unique learning model that has been recognized globally, including through the contributions of alumni such as Praya Lundberg, a UN Refugee Agency Goodwill Ambassador. During his time at the school, both in an earlier visit and during the event, Coster-Waldau acknowledged the success of NIST’s approach: “I have to say, this is probably the most impressive school I have ever seen…very inspiring”. Looking to the future, collaborations such as this will be essential to identifying sustainable solutions that will move us all toward the accomplishment of the SDGs. Organizations such as the UNDP, Eir Soccer, NIST, Chelsea FC and PANDORA have served as pioneers, striving to make a positive impact in their communities and empower others. And the GGWCup? It will return to Bangkok, and will continue to expand to cities on every continent as it unites people to work toward a shared vision of a better world. During the GGWCup, Coster-Waldau sat down with the Falcons News team to talk about Game of Thrones, his role as a UNDP Goodwill Ambassador and his experiences in Thailand.